20th celebrations continue as fans are invited to head to GAME stores to collect the Mythical Pokémon Arceus and the latest Pokémon merchandise. 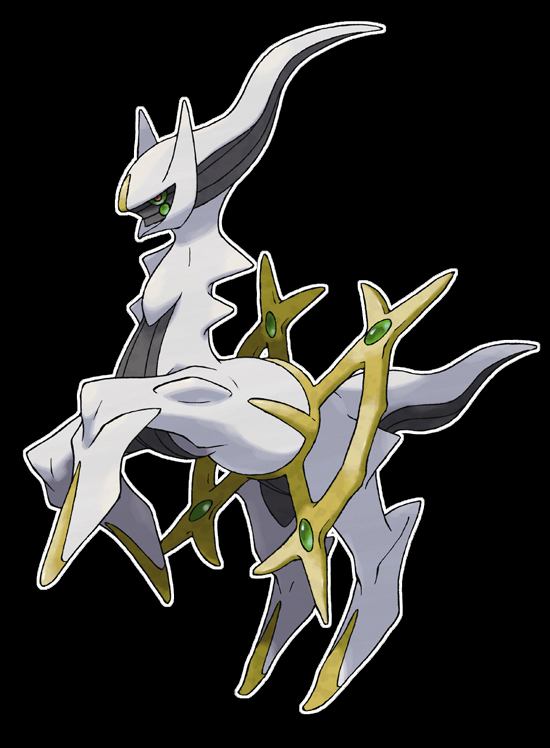 Owners of Pokémon Omega Ruby, Pokémon Alpha Sapphire, Pokémon X or Pokémon Y for the Nintendo 3DS family of systems can head into their local GAME store and receive Arceus, one of the Mythical Pokémon of the Sinnoh region, for free. Arceus is available now at GAME. Fans of the Pokémon Trading Card Game can join the celebration with the release of the Pokémon TCG: Mythical Pokémon Collection—Arceus on 3 August. This collection includes a special Arceus promo card, a pin of the Mythical Pokémon, two Pokémon TCG: Generations booster packs and a code to unlock cards in the Pokémon TCG Online. What’s more, Pokémon players can gear up for new ways to battle in the Pokémon TCG: XY—Steam Siege expansion, coming 3 August. Use dual-type Pokémon to open the way to powerful new strategies and battle with the likes of Volcanion, Mega Gardevoir, Xerneas and Yveltal in this latest expansion to the Pokémon TCG: XY Series. Arceus fans can head to any GAME store and look for even more collectible items featuring the Mythical Pokémon, including a plush from TOMY and an exclusive T-shirt designed by Bioworld Europe. Both items are exclusive to GAME Digital plc in the United Kingdom while stocks last. *For more information about the Arceus distribution at GAME UK, please see the following website: www.game.co.uk. One per customer, while stocks last.